Between the two candidates for US President, Donald Trump is preferred by the overwhelming majority in the countries of Europe, including Russia. This can be explained by a number of factors: Hillary Clinton’s corrupt ties and her state of health, patriarchal views of political systems, and expectations for something new from a non-establishment candidate. 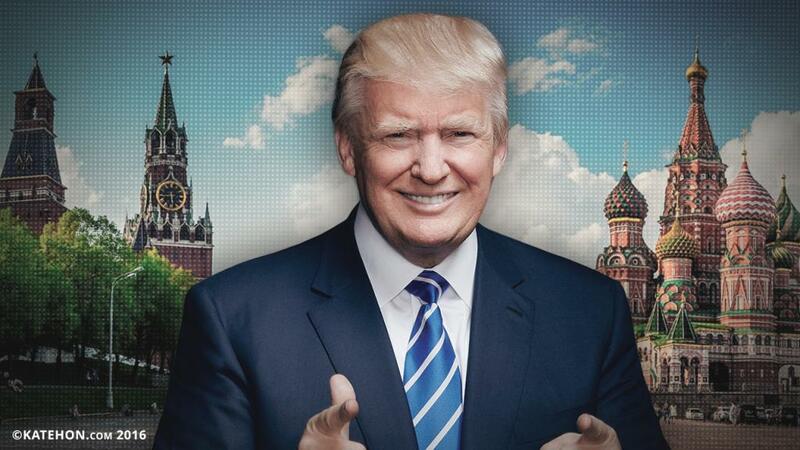 If the US presidential candidates are judged from the standpoint of the Russian Federation’s national interests, then there are a number of clear guidelines which indicate that Donald Trump is preferable for the post of US President rather than Hillary Clinton. 1. The former secretary of state’s statements repeatedly reveal herself to be a ferocious Russophobe. Russians do not know Trump’s true intentions, but he has not allowed himself to make rude and unethical statements towards the Russian Federation, its leadership, and the Russian people. Consequently, he is perceived as a more positive figure. 2. Trump represents the Republican Party, whose representatives traditionally follow the realist school in international relations. Even during the George W. Bush presidency, despite the intervention in Iraq, the US did not cross the red line as happened under the Obama Administration, which represents the Democratic camp. It is also worth recalling that even before Obama, the Democrats repeatedly undertook interventions and unilateral bombings in Somalia (1993), Haiti (1995), Bosnia (1995), Sudan and Afghanistan (1998), and Yugoslavia (1999). The notion of “responsibility to protect” itself which has been used to justify “humanitarian interventions” was developed under the Democrats. George Bush Jr. himself merely accepted the Democrats’ legacy and their cliches of liberal aggression. Seeing as how Russia also relies on the realist school, dialogue between the two countries would be clearer and more understanding under a Trump presidency. Both the US and Russia would respect each other’s geopolitical interests in the complex global environment. 3. Under George W. Bush in 2003, the American occupation of Iraq began which gave rise to civil war and terrorism in the Middle Eastern region, including ISIS. The campaign against Iraq was lobbied by the neoconservatives who had infiltrated the Republican Party and now support Hillary Clinton. As follows, the danger of neoconservative paranoia could be repeated if Clinton becomes president. 4. Donald Trump appears to be a confident candidate who is ready to acknowledge and correct his mistakes. After suddenly being invited by the president of Mexico to visit his country, Trump immediately responded and went to the meeting. This was done despite his earlier, quite harsh statements towards Mexican migrants. It is likely that Trump would actively look into questions related to Russia and Eurasia that would benefit both powers. Clinton responded to Mexican President Enrique Peña Nieto’s invitation vaguely and senselessly, which characterizes the current US political system as a whole. The establishment leaders have no clear understanding of future strategy and are afraid to take any kind of steps forward. This looks quite strange not only from the outside, but also for American voters who had confident politicians to look to in the past. 5. Russia, which suffered serious losses from both world wars, knows the price of human lives. This is part of Russian strategic culture that correlates with demographic policies and related political decisions. Even though the influence of the destructive liberalism of the ’90’s remains in Russia, family traditions are reviving and are aided by the state as well as public and religious institutions. Hillary Clinton is a supporter of Pro-Choice, i.e., the legalization of abortions, including those which violate the UN Convention on the Rights of the Child, whereas Donald Trump has spoken explicitly in favor of Pro-Life, i.e., restrictions on abortion. Of course, these are only the main characteristics which show that Trump is in a more favorable light for Russia. It often happens in politics that uncertain and at times unpredictable personalities can behave in a completely opposite way. Nevertheless, even such a brief analysis as the one presented above points to sufficiently important nuances which are of importance in relations between Russia and the US. Either way, Russia cannot influence American citizens’ decisions. It is they that will choose their next president and the future of their country for the next four years. Andrew Korybko - What If Trump Doesn't Win?